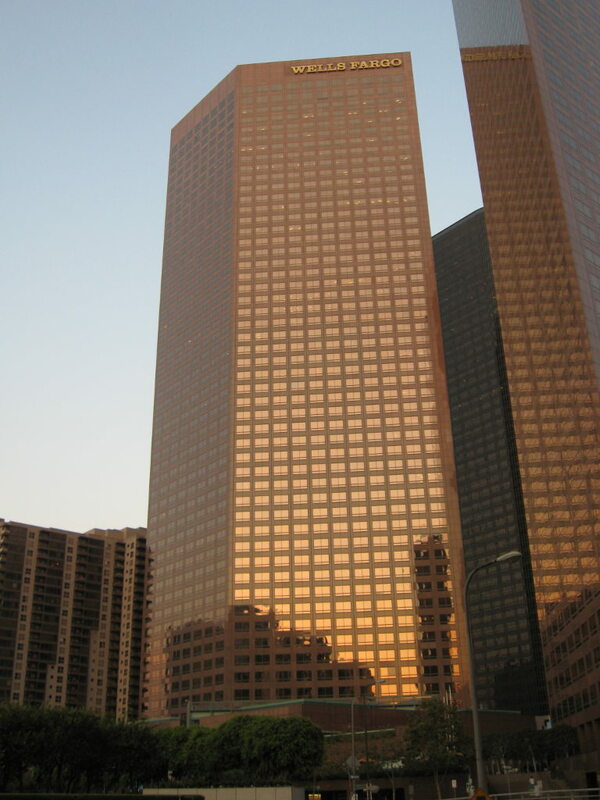 Today was another practice run up the Wells Fargo building in downtown Los Angeles. I’ve been doing well at this so far this season, setting a number of new personal records, so I was hoping to pull yet another rabbit out of my proverbial hat tonight. But sadly, it was not to be. I didn’t go faster than I did on Monday. On the other hand, I didn’t go slower,either, so I really can’t complain about that at all. This time, it seemed like there were a lot more people there than before. There was a long line for the sign-in at the YMCA. When we got over to the building, there was a long line outside waiting for the stairs. Why is it that the single most painful athletic thing I’ve ever done draws such a crowd? When they finally let us in, I stood at the bottom of the stairs for a few minutes. There were a lot of people in our group, and I wanted to give them enough time to spread out before I came up and tried to pass them. And that strategy worked. By the time I was passing people, they were all spread out, and it was pretty easy to get by. That’s my ideal situation, since passing people gets me motivated to go faster. I had a look at my watch at 27, and it said 4 minutes and a few seconds. That was good. That meant I had a chance at going under 9 minutes again. And like Monday, when I got to 50, I was at 8 minutes. So I did the best I could to put on a burst of speed at the end. I managed to do a little bit, and I sprinted the last two floors up to 55. I got up there and immediately dropped to my knees on the landing, panting like a dog. 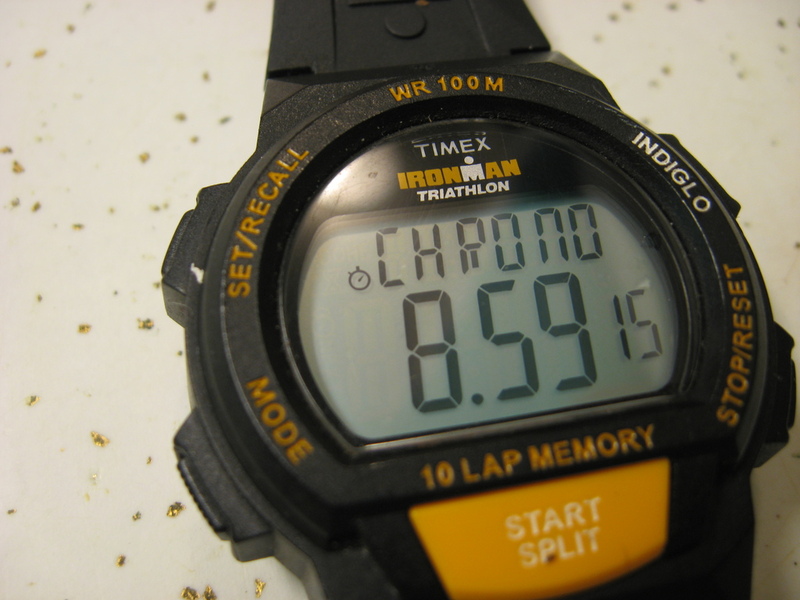 But when I looked at my watch, it said 8:59. Not faster than Monday, but not slower, either. And I really can’t complain at all about that.